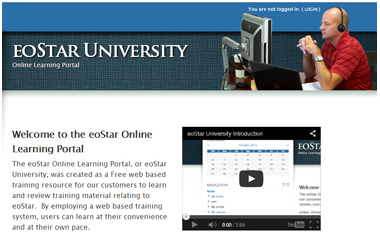 Rutherford and Associates is developing an online learning portal (eoStar University) to assist training users in eoStar. This online training portal will be available to run on multiple device platforms and a variety of operating systems, making it a convenient training option. Keep an eye on your inbox for your invitation to enroll in eoStar University. Billing codes are now included in ION Reports. Previously, SQL reports would be needed for reporting on billing codes. The new method is a more elegant and convenient solution. For more information regarding this new feature, contact support. eoStar has added a new Purchase Import function, which allows users to import purchase from any supplier by populating the fields of a generic comma-separated values (or.csv) template. This .csv template, as well as the support documentation and tutorial video are available on the wiki, which you can view by clicking here. Our GP support team will be out of the office from 12/24 – 12/26 and 12/31 for the holidays. 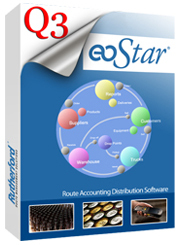 In November, Rutherford and Associates held a series of webinars concerning the latest release of eoStar. These webinars were recorded and the videos are available for viewing on both the eoStar wiki and on YouTube. The videos, as well as the quarterly release notes can be seen by clicking here.